NEW YORK, New York, September 7, 2015 – More than a dozen famous musicians are raising their voices in a new song, hoping inspire world leaders to reach a global climate change agreement during the United Nations climate conference in December. 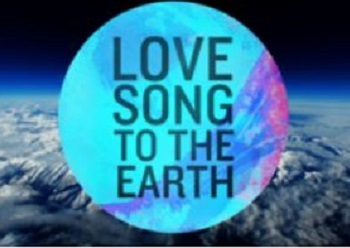 Paul McCartney, Jon Bon Jovi, Leona Lewis, Sheryl Crow, Fergie and UN Goodwill Ambassador Angelique Kidjo are among the musicians who released the single ‘Love Song to the Earth,’ now available for download from iTunes and Apple Music. More artists featured on the song include: Colbie Caillat, Johnny Rzeznik, Krewella, Kelsea Ballerini, Nicole Scherzinger, Christina Grimmie, Victoria Justice and Q’Orianka Kilch, as well as co-writers Natasha Bedingfield and Sean Paul. Othera co-writers are Toby Gad and John Shanks. The artists, producers and directors of the song – as well as Apple – are donating their proceeds to Friends of the Earth US and the UN Foundation. Love Song to the Earth highlights the importance of taking care of what we love. The artists are encouraging people to sign a petition that will be delivered to world leaders in Paris in December at the 21st meeting of the parties to the UN Framework Convention on Climate Change, UNFCCC, widely known as COP21. The petition is part of a unified global movement supporting the UN’s call for a meaningful, universal, global climate change agreement. Released Friday, the song will be available on all music platforms and streaming services worldwide as of September 11. Accompanying the song is a “lyric video” produced by Jerry Cope, also set for release September 11. It features spectacular views of marvelous places on the planet. Scientists and celebrities are shown holding signs urging viewers to “Keep It safe” to encourage their fans to get involved.